Hevac Limited is one of Ireland's leading domestic, commercial & industrial plumbing & heating specialists. 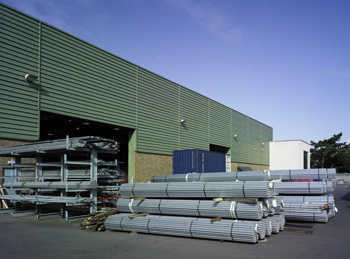 We operate in offices and warehouse facilities in Dublin and Cork comprising over 10,000 square meters of space. We supply every plumbing & heating component imaginable to the residential, commercial and industrial sectors and can offer in house specialists including design engineers, CAD technicians and system specialists. The focus of Hevac Limited is to provide quality systems that offer maximum efficiency and comfort. Hevac has been at the forefront of new technologies and has been responsible for many new trends within the industry. With the growing demand for bespoke package plant rooms, Hevac saw a gap in the market for a professional and complete service to both specifier's and contractors in Ireland and the UK. Our in house design team can now offer the complete package to include, design, preparation of in-house CAD drawings, complete build and delivery within budget and programmed time schedule. Our offer includes bespoke units which can include boilers, burners, water heaters, calorifiers, gas & water boosters, shunt and primary pumps, control panels, etc.